Southeasterly 20/25 knots. Seas: 1/1.5 metres, increasing to 1.5/2 metres offshore. Swell: East to northeasterly below 1 metre. Outlook Sunday: Southeasterly 15/20 knots, increasing to 20/25 knots during the afternoon. 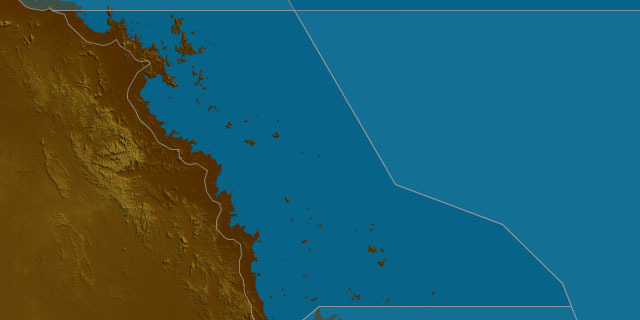 Seas: 1/1.5 metres, increasing to 1.5/2 metres offshore south of Mackay. Swell: East to northeasterly around 1 metre offshore. Outlook Monday: East to southeasterly 20/25 knots. Seas: 1.5/2.5 metres. Swell: East to northeasterly around 1 metre offshore. Outlook Tuesday: Southeasterly 15/20 knots. South of Mackay: winds increasing to 20/25 knots in the afternoon, with offshore winds reaching up to 30 knots at times in the evening. Seas: 1/1.5 metres, increasing to 1.5/2.5 metres offshore. Swell: East to northeasterly around 1 metre offshore.